Great card, what a cool die! 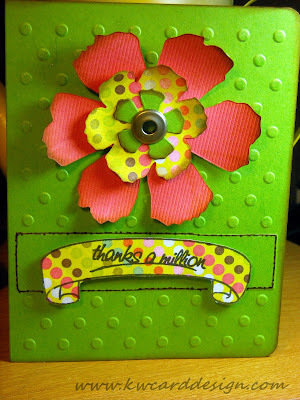 I don't own much tim holtz stuff, but I sure do love lookin at it! Are you teaching a SU class or attending? Sounds like a lot of fun! Have fun then!! I can't wait to see what you learn and create.... and I just saw you posted a comment over at the crafty storage blog, made me smile lol!